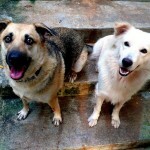 Effective Signals to Entice Your Dog to Play | Woof Report | The best email newsletter for dog lovers. This interesting study enlightens pup parents on effective (and not so effective) signals to show your dog it’s playtime. Give a play bow, lunge toward and away from your pup and it’s game on! 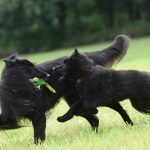 You’ve seen your dog initiate play with another dog – it’s natural dog-to-dog communication – the bouncy walk, open mouth and wagging tail, or the classic example, the play bow. But can our specific actions communicate to our dog that it’s time to play? 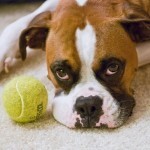 Does the special language you share with your dogs include a way to say “playtime”? 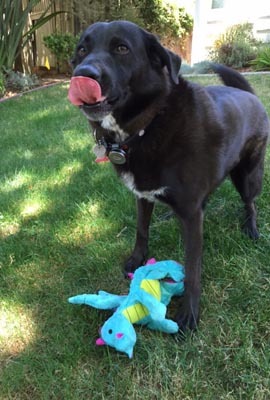 Thanks to Karen London, certified applied animal behaviorist, certified pet dog trainer, author, and part of the team behind dogbehaviorblog.com (a Woof Report favorite), giving signals to entice your dog to play just got easier. 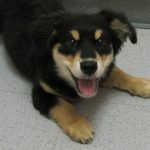 In a post on dogbehaviorblog.com, Ms. London discusses the research study from Rooney, Bradshaw and Robinson, “Do dogs respond to play signals given by humans?” published in Animal Behaviour in 2001. Ms. London explains that although the study is from some time ago and is widely known in the academic world, it never reached a larger audience and people and dogs could clearly benefit from its findings – and Woof Report agrees! 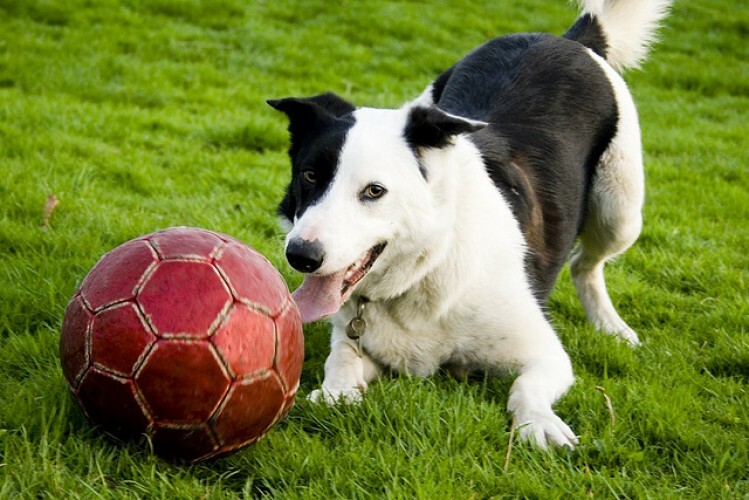 Take a look at the findings, then examine how you encourage your dog to play, and then improve its effectiveness. 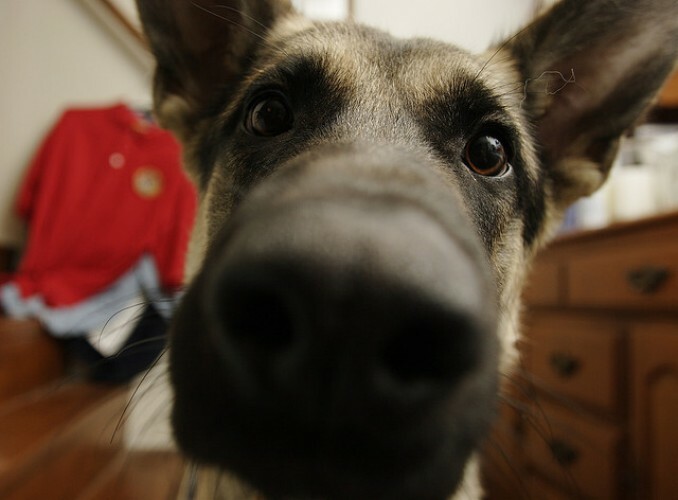 In the study, researchers videotaped dog owners initiating play with their dogs without using toys. Thirty-five actions were each used by three or more dog owners and included postures, vocalizations and physical contact with the dog. The effectiveness of the actions was unrelated to how frequently they were used. In other words, the dog owners didn’t stop using the actions that were ineffective. Physical signals such as patting the floor and whispering were most commonly used by dog owners, but did not elicit playful behaviors. Other ineffective signals included picking up the dog, kissing the dog, barking at the dog, and pulling the dog’s tail. 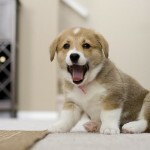 According to the researchers, the low response was likely due to the dogs’ interpreting these signals as aggressive cues rather than invitations to play. Effective signals for initiating play were play bows, lunging toward and then away from the dog, chasing the dog, and grabbing the dog’s paws. Highly effective signals that were not used frequently by participants were running towards or away from the dog and tapping their own chest. The study also suggested that adding vocalizations to physical play signals made the signal more effective, although they were not effective on their own, and also that different play signals could encourage different types of play. 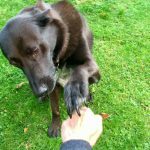 If you’ve already got your play signals down pat, then simply remember to make play a part of every day – you and your dog will love it! Thank you to Adam Foster on flickr for the photo of Moss. Originally published October 2010; reviewed and updated October 2016.